How Much Do Dental Implants in North Naples Cost? 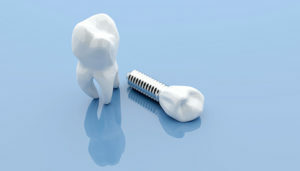 Dental implants offer the ultimate in stability for your smile after tooth loss. Unlike other options in tooth replacement, this one replaces a missing tooth’s root as well as the visible crown structure. Nothing else is better — and that means dental implants also come at a higher price. Below, you will find more about how your implant dentist determines the cost of dental implants in North Naples, and why whatever it is, they are worth it! There is no fixed price for dental implants. Your implant dentist will consider the following to provide you with an accurate estimate for how much you should expect to budget for this treatment. How many teeth you are missing. Dental implants are individually priced, so the extent of the tooth loss has the biggest influence over how much the total treatment will cost. How healthy your jaw bone is. If significant bone loss has occurred due to the missing teeth or periodontal disease, you may need to have a bone graft first to create the proper environment for dental implants. Where in the jaw the implants will be placed. Due to aesthetic concerns, front teeth require a more complex procedure. This will usually result in increased cost. What the implants are made of. Most dental implants are made from titanium, but patients with metal allergies or sensitivities may need to have an alternative (which will usually cost more). Whatever the cost of dental implants, their numerous benefits make them worth their weight in gold — and then some. Dental insurance often does not apply to dental implant procedures despite the fact that they are well-known to be the best method of replacing one or more teeth. However, there are still ways to make this treatment more affordable. CareCredit is a third-party financier that works like a medical credit card. You swipe it at the time of your appointment and then make smaller payments at the pace that fits your budget best. Most people are approved for CareCredit — which means you probably are, too. Are you researching options in tooth replacement? Don’t be scared away at the sticker price of dental implants. They are your best bet for a beautiful, complete smile! Dr. Mark Makram is a general and restorative dentist in North Naples offering superior dental care for patients of all ages. He underscores the benefits of dental implants for patients who are dealing with tooth loss. To find out more about what your procedure might cost, do not hesitate to schedule a consultation by calling Dr. Makram at (239) 513-9990. Comments Off on How Much Do Dental Implants in North Naples Cost?